How much is Jamel Debbouze Worth? Jamel Debbouze Net Worth: Jamel Debbouze is a French and Moroccan actor, comedian, and producer who has a net worth of $25 million dollars. 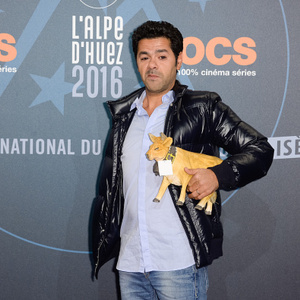 Born in Paris, France on June 18, 1975, Jamel Debbouze is widely known for his roles in Amelie, Asterix & Obelix: Mission Cleopatre, Angel-A, and Indigenes. He has been active in the film industry since 1992 and received the award for best actor for the film Indigenes at the 59th Cannes Film Festival. He currently owns a comedy club in Paris, which specializes in amateur comedians. Debbouze made his film debut in 1992 with Les Pierres Bleues du Desert and continued to play small roles until the breakthrough cult film Amelie, followed by the critically acclaimed Indigenes. He is married to his wife, Melissa Theuriau.